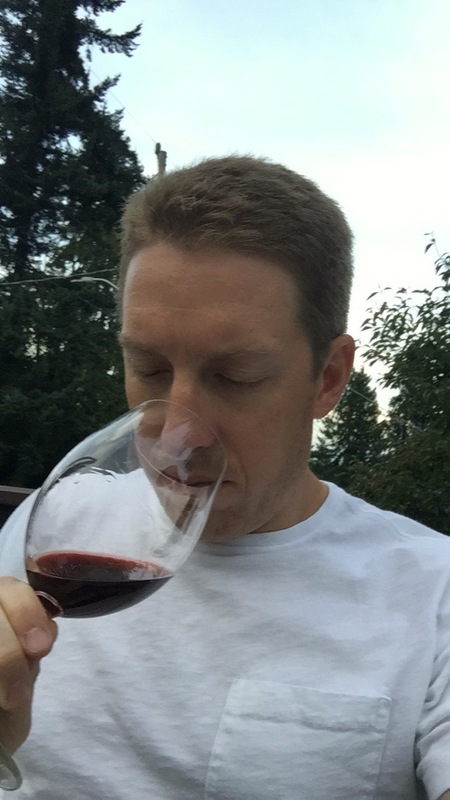 I’m far, far behind on uploading wine reviews so I’m doing Good Vitis’ first post focused exclusively on reviews to clear out the closet. What follows is an assortment of wines that have nothing other than cohabitation in my cellar as their commonality. These are not samples, but wines I’ve collected over the years, those I’ve shared with friends and a few that I received as gifts. It is, I must admit, a bit exciting to share wines that I selected myself as opposed to most of the wines I write about on Good Vitis, which I receive as samples, drink at wineries and media/industry events. While I’ve many great wines through those means, I’m almost always happiest drinking wines I’ve collected myself because they are wines that are of particular interest to me. It isn’t surprising then that several of the wines below are likely to be among my top wines of 2017, notably the 2005 Cameron Pinot Noir Abbey Ridge, 2012 Cameron Clos Eletrique blanc, 2011 Domaine Fevre Montee de Tonnerre and the incredibly cool and impressive 2016 En Numeros Vermells Priorat DOQ, which is a white wine made from the Pedro Ximenez grape that is normally used to make Sherry. 2005 Cameron Pinot Noir Abbey Ridge (Oregon) – Another data point that Cameron is at the very front edge of domestic pinot noir. The nose is absolutely gorgeous, very floral and bursting with a cornucopia of sweet fruit. The body is rich but extraordinarily balanced and dancing light on its feet. The acid is lively and the pepper is sharp, while the cherries and cranberries burst with juiciness and richness. There are slightly bitter flower petals and a lot of Rose water. Absolutely fantastic wine sitting in a great place in its evolution. I can’t stop drinking this. 95 points. Value: A.
Backstory: Cameron’s Abbey Ridge means a few things to me. First, right now it’s the best pinot noir I’ve ever had. Second,I’ve had the 2000, 2002, 2003, 2005 and 2010 vintages in the last year and they’ve been proof that high quality pinot benefits from extended aging. And third, they’re incredibly hard to find, so for a wine hunter/chaser like myself there’s an extra thrill earned by simply finding a bottle, especially older vintages. At the moment this is my favorite winery. Backstory: Delille’s Harrison Hill is the first great wine I ever had. For many years I would buy two of each vintage, age them 5-8 years before opening the first, and have one per year on my birthday. I still do this, except I stopped buy them in 2011 when the price shot up to $90 and I found myself gravitating away from Bordeaux-style blends. It may not be my favorite wine anymore, but it’s no less special. Backstory: My favorite white wine, pound-for-pound, is Montee de Tonnerre chardonnay from Chablis. My favorite Montee de Tonnerre is made by William Fevre. I’ve finally figured out that extended aging of Chablis tends to lesson the nervous edge and wily verve that draws me to Chablis, and now I know how to maximize my Fevre investments. This 2011 was the final data point in that research project. Backstory: Soos Creek is one of the very best values in America wine, especially for someone with a cellar and some patience. Many of their wines are sourced from the upper pantheon Washington vineyards, yet none go for more than $45. Comparable, bigger name wineries that source from the same vineyards are often priced at least $15 if $20 higher, if not double the price. They’re also built to benefit from short to medium term cellaring, a solid 3-8 years post-release from my experience, and so if patience is exercised, not only is the wine spectacular, but for people like me who appreciate value there is an added bonus. Backstory: the 2007 vintage of this wine was my gateway to savory syrahs. I know for most that gateway is the Rhone Valley, but growing up in Seattle I owe Waters for that lesson. This 2009 was the first time I was able to revisit Waters’ wine and it brought back memories of that epiphany many years ago. Backstory: When Avennia came onto the seen I got excited because its winemaker came from Delille Cellars. I immediately started buying half a case a year to lay down and recently I’ve begun to test them out. Their syrahs are very, very good. This Gravura, a Bordeaux Blend, was a little underwhelming, but given the rough vintage it was enough to satiate my Avennia craving for another few months until the syrahs in my cellar start emerging from their developmental stage. Backstory: A local retailer near me, Chain Bridge Cellars, introduced me to Silvia Puig’s En Numeros Vermells side project (executed in her garage) a few years back, and I’ve been a dedicated fan ever since. Each year the importer pours the wines and I enjoy tasting with him. This year he introduced a new white made from the Pedro Ximinez grape, which is used to make Sherry, and I was instantly captivated. It’s a wild experience and I took several bottles home. I’m not sure it’s going to benefit from any aging, but I don’t care because it’s that good right now. Backstory: Back to Cameron. I said above their Abbey Ridge is my favorite pinot noir. Their Clos Eletrique blanc is giving Montee de Tonnerre a run for it’s status as my favorite chardonnay. I’ve many debates with winemakers about whether it’s worthwhile to age chardonnay, and as I find my footing with aging Chablis I’m going through the same process with Cameron’s various chardonnays, which I’ve been stocking up on. This 2012 was really great when I had it last month, and I’m at odds with myself over how long to hold my remaining stash of the vintage. I’ll end up metering it out just to see, but that means exercising serious restraint. Backstory: when this wine came out there was a rash of positive reviews in the professional wine media and blogosphere. I didn’t exactly rush out to find a bottle, but I kept my eyes open. While a solid wine, it just didn’t speak to me like it apparently did to many others. A good reminder that you shouldn’t put too much credence in others’ opinions when the topic is something as subjective as wine. Backstory: the review has the critical piece: when I want a big, bold and beautiful wine the Clio is near the top of my list. I had a 2006 El Nido (non-Clio) a few years back, which is their ~$125 flagship wine, and found it incredibly disappointing. It’s made by a very famous and respect Australian winemaker and it tasted like an Australian wine made from Spanish grapes, which to me was a real sin. The Clio doesn’t make this mistake, it’s entirely a big Spanish wine, and I love it for its authenticity. The Clio usually benefits from a few years of bottle aging, but more than that and it loses it’s most appealing asset: it’s outlandish youthful vigor. Backstory: I was really taken with the comeback of the mencia grape in Spain when I was introduced to it through Palacio’s entry-level bottle, the Petalos. The Corullon is the next step up in that winery’s line of mencia bottlings and for $20 bucks more than the Petalos you get something really very special with many pretty notes. Backstory: I acquired this as part of a wine club shipment from a number of years back. The most appropriate thing I can say about it is that it’s an excellent example of the fruit-forward stylistic type of Washington syrah. Unlike the Waters mentioned above, it doesn’t offer savoriness as it’s focus is on the fruit and baking spice. Backstory: essentially the same as the Drouhin chardonnay mentioned above. A few people in the blogosphere freaked out about this and I found it disappointing in that in a vintage known for full flavor and density it lacked concentration. Backstory: I’ve said enough about Cameron already, but I’ll just point out that I drank this too young. It’s a very important piece of data in my research on how long to age Abbey Ridge pinot. Backstory: this was a gift from a family member. Bookwalter is know for big wines, and when I want that, as noted above, I go for something more like the Clio. That said, the Conflict was very enjoyable with some decanting and it didn’t last long. Ideally, I think, this is consumed between 2019 and 2022. Background: another family gift, it had been years since I’d had an Abeja cabernet. I was taken by Abeja years ago but as I developed a taste for wines typically more restrained that Washington cabernets I strayed. While this 2013 doesn’t have me begging to get back into Abeja’s good graces, I wouldn’t be surprised if I didn’t start buying a few in the years ahead. It’s very, very tasty stuff with really nice complexity and depth.